AnalyticsCamp Switzerland 2017 was amazing! Thank you very much for participating and making it a success! 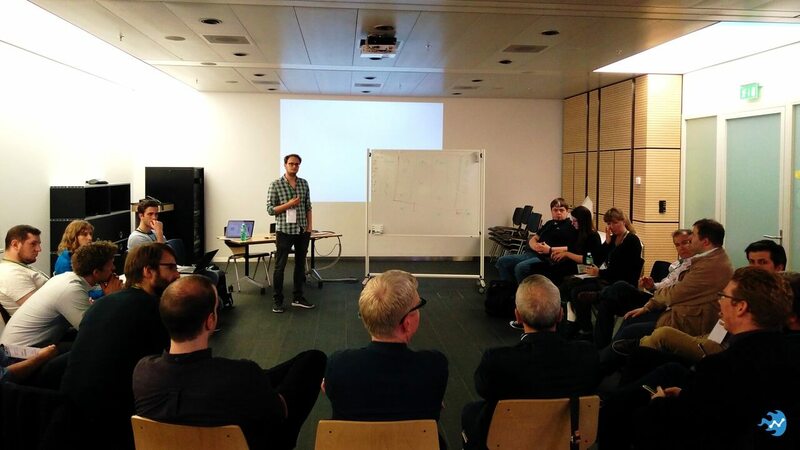 A week after AnalyticsCamp we wanted to sum up the barcamp, ask for your feedback and thank our sponsors again. 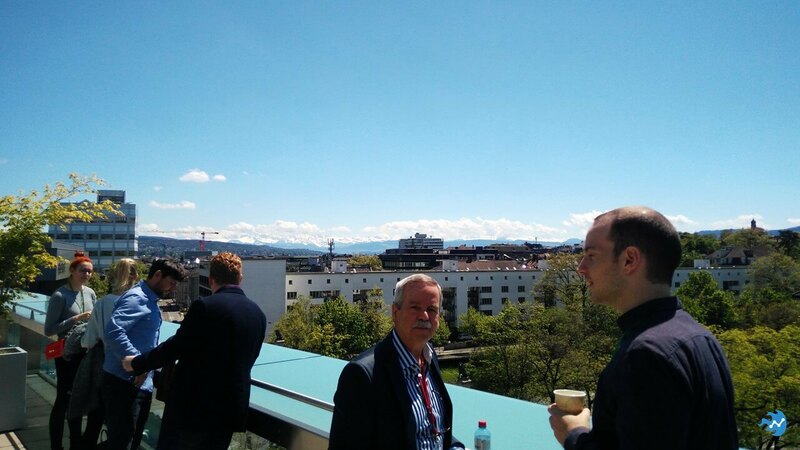 AnalyticsCamp Switzerland 2017 got off to a good start: almost perfect weather and the view from the Tamedia building. We couldn’t have wished for more. From standardized campaign tracking, over Google Analytics 360, data privacy, surveys, automation, attribution, data quality, to machine learning. We – kind of – had it all. Thanks y’all for all the amazing input! Of course, there’s always room for improvement (e.g. more entry level sessions or more advanced UX or data science), though we were satisfied. And next time you know the drill: invite your friends and get your topics in! If you want to check out the complete session plan again, just use the Google Spreadsheet link in our blog post about 2017’s sessions. 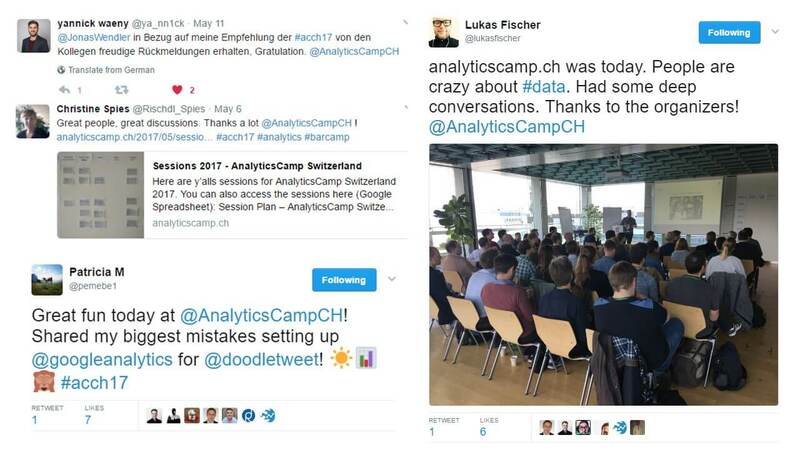 It probably helped that we kept most of the event in English, nevertheless, we were really impressed by how international AnalyticsCamp Switzerland 2017 was. And not just y’alls incredible international experience, but also how far you’ve traveled to get to our analytics-themed barcamp. For instance from Hamburg and Munich. Incredible. Incredible was also y’alls backgrounds. So much diversity. 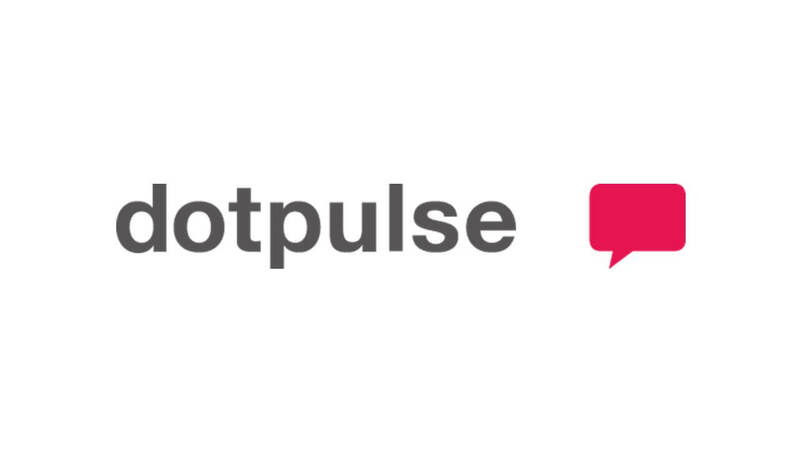 From younger folks, to seasoned analytics enthusiasts. From digital analytics, over online marketing to geophysics. From data experts to participants looking into a career change. The only thing missing was a bit more gender diversity. Next year! Between great sessions, discussions, and networking, we also had some fun. At least that’s our perception. Otherwise, we are open to feedback. The apero, the view from Tamedia’s rooftop deck (so cool, right? ), hanging out with so many interesting people (yes, you! ), it has been a pleasure. Truly. Yes, we are on Twitter (@AnalyticsCampCH). Does that count as Social Media? Fair enough, it’s not like we really made trending topics in any country. So, no, no buzz (#viral). Though, we really appreciated y’alls impressions, feedback and thoughts. As said multiple time, and yes, it is getting annoying, we would really appreciate your feedback! We already have received some praise, inspiration and a bit of constructive criticism, though, we want more. Hence, we would be really grateful, if you would fill out our little survey, tell us in person, or message us. 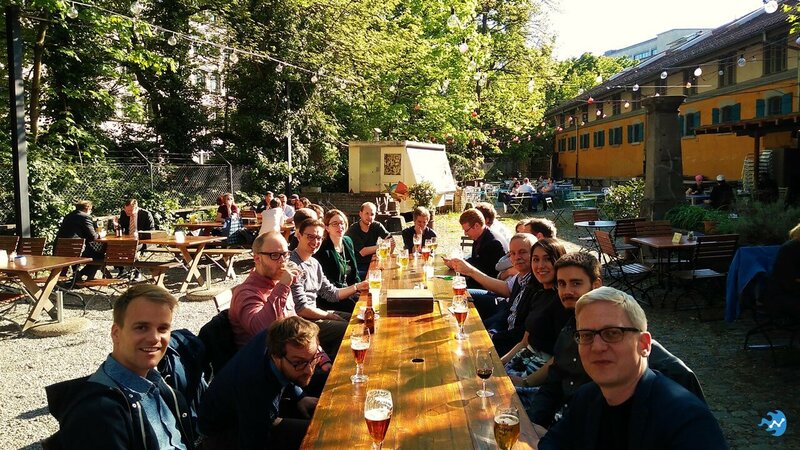 Thanks so much again, y’all truly made AnalyticsCamp Switzerland 2017 what it was. We do not know for certain at this point, though we hope to be able to do another analytics barcamp (hopefully soon-ish). 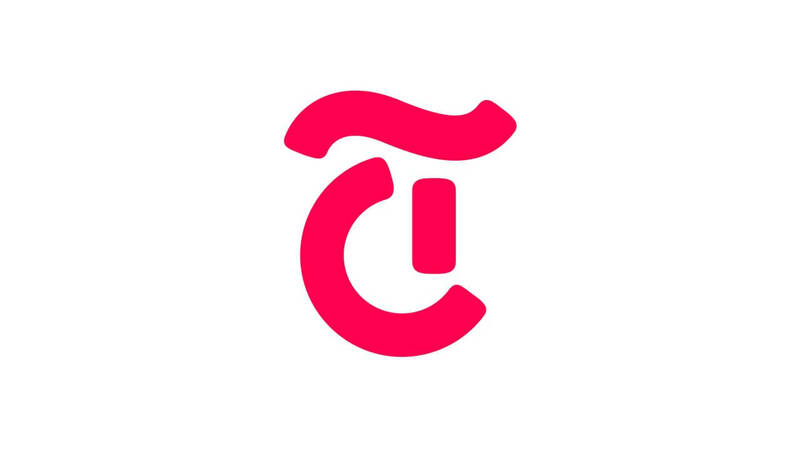 So if you want to stay in touch, for the latest news or ticket infos, please subscribe to our mailing list (below), check back here, or follow us on Twitter (@AnalyticsCampCH). 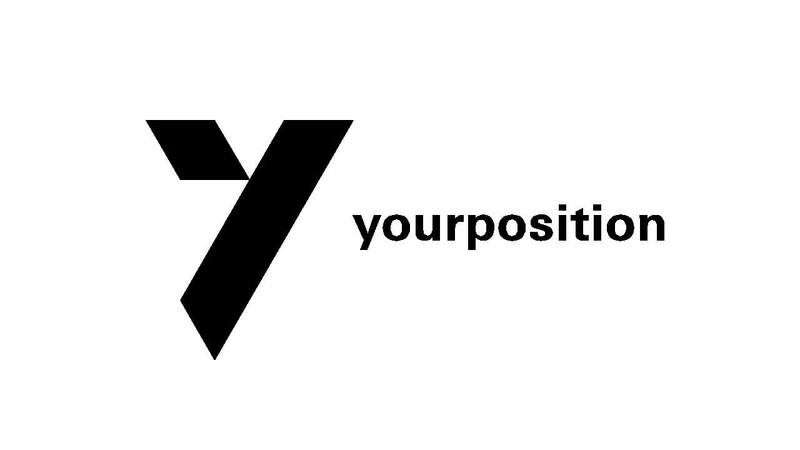 On a related note, our sponsor Yourposition is also conducting a Swiss Digital Analytics survey. All the best from the AnalyticsCamp team! Here are y’alls sessions for AnalyticsCamp Switzerland 2017. Again, if you have issues finding your session, check out the room overview (cool .gifs). Tomorrow is the big day, AnalyticsCamp Switzerland 2017. We are tremendously excited and are looking forward to a great event. Here are some more infos about tomorrow’s event, though if you have any further questions, please do not hesitate to reach out! 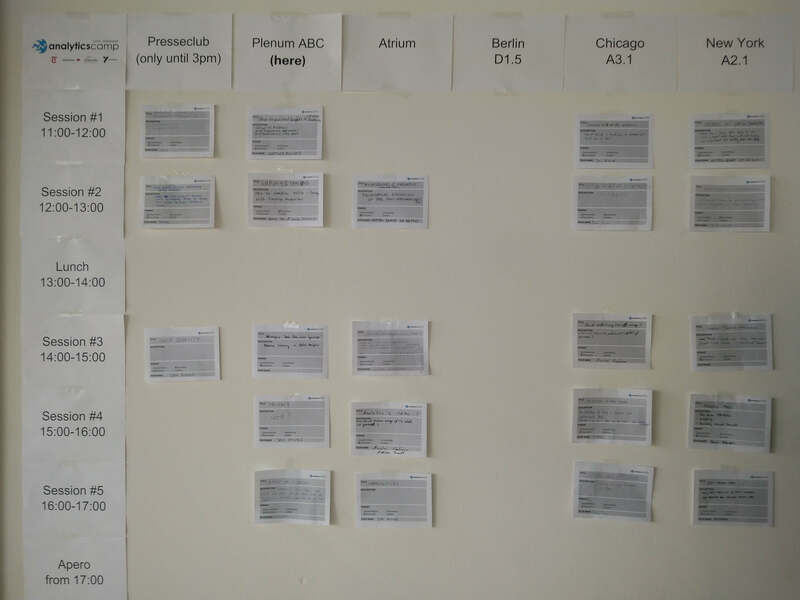 You can find the location, the schedule and the room overview (for the sessions) on analyticscamp.ch. Please try to be on time, as we have to sign everybody in at the entrance. You’ll have time to mix and mingle at breakfast shortly before the intro and session planning. After that we’ll have sessions, lunch, more sessions and an apero. AnalyticsCamp is an Analytics-themed Barcamp, which means we will plan the sessions for the day after the intro, where you sort of have to pitch / present your topic. The sessions will then be put on the session board. One topic per room, per time slot. We’ll try to digitalize it after the planning process, otherwise the board will always be in the main room. So you can pick which sessions to attend. Still unsure, check out our Newbie? guide online. As you might have guessed, the main language of the event is English. Though, if there are any takers, feel free to offer sessions in German, Swiss-German, Italian, French or even, maybe, Klingon. There will be Gipfeli and Coffee in the morning and a CHF 20 voucher for the Tamedia cafeteria. This will cover your lunch, some snacks or other beverages. The Apero (own expense) will take place at the close-by Reithalle, Gessnerallee 8, 8001 Zürich. Please bring your ticket to the event, if possible, otherwise we will have a list and your name tags ready. We are almost sold out and have closed our ticketing system. If you still have not got one or know somebody that is still interested, go talk to us. We will make it work somehow. If you have questions or want to submit a feedback (before and after), you can reach us at hello@analyticscamp.ch or @AnalyticsCampCH on Twitter. Pictures, blogposts, reviews or anything you want to share about AnalyticsCampCH, please do so! We encourage it. You can also send us your link(s), as we will consolidate posts and link to them afterwards. The team will be present the whole day, so just go talk to us. You can also reach Janine (Co-Organiser, Tamedia) on her cell phone (0763661226), email us (hello@analyticscamp.ch) or mention / send us a message on Twitter. If you have something special in mind for your session / topic, try to bring any materials or equipment needed. We will have presenters kits and some adapters available, though, better be safe than sorry. Again, we are looking forward till tomorrow and if you have any questions, do not hesitate! Big Shoutout to our Sponsors & Partners! Less than to days to go till AnalyticsCamp Switzerland (reminder: May 5, 2017), so we wanted to thank our sponsors and partners again! Without their support – well, except for y’alls participation – this event would not be possible. We are tremendously thankful for that. Feel free to follow them online or checkout what they do. In the meantime, check out the schedule or grab a ticket, if you haven’t bought one yet. In case you have questions, do not hesitate to reach out! 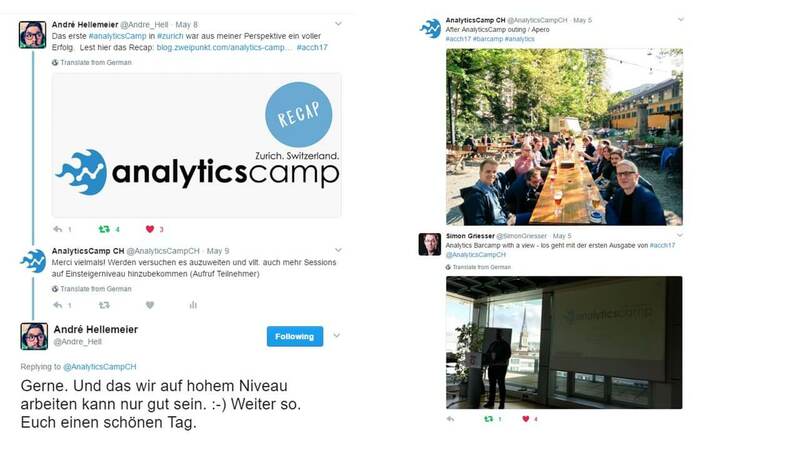 If you have questions about AnalyticsCamp Switzerland, please contact us via Twitter (@AnalyticsCampCH) or Email. We are always happy to help! What about parking? Is it an English-only event? What can I expect? We are consolidating frequently asked questions and will update them regularly on our FAQ page.